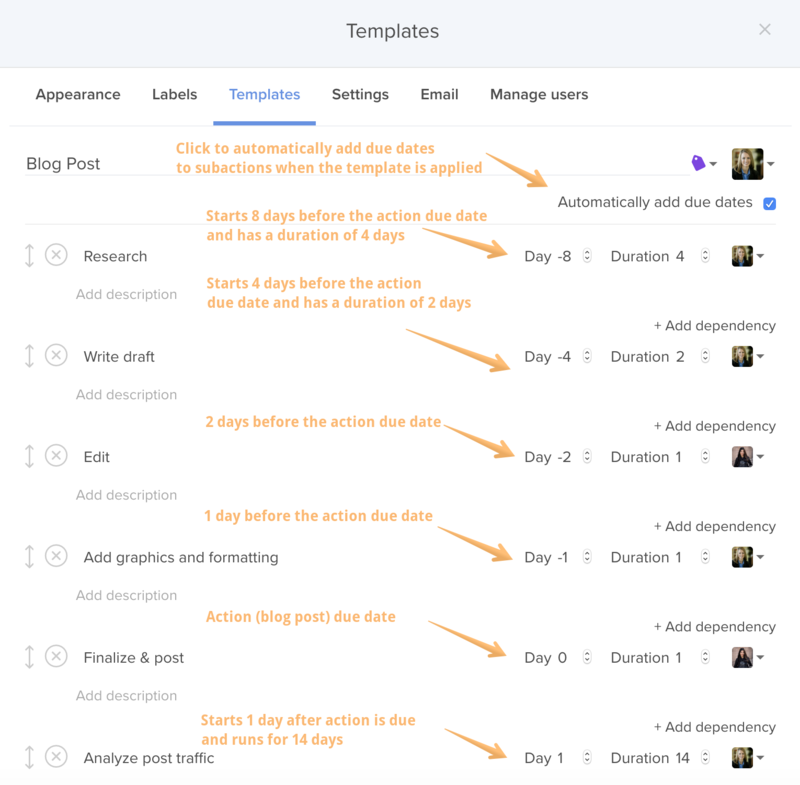 Ever wondered how you can automatically set deadlines with your action templates? Hive is smart about handling deadlines with the template you create. First, to ensure deadlines are set when you apply an action template, ensure that the 'automatically add due dates' option is checked. Since you have already applied the deadline to the action, Hive is smart to know that you need to complete the action by that specific date. Hive uses the subaction set as '0' as the parent action due date and applies the deadlines accordingly to the other subactions. All negative days will happen before the action due date, and all positive days will happen after the action due date. Since you have enabled deadlines and your action currently has no deadline, Hive assumes that the subaction marked as '0' on the action card is today. 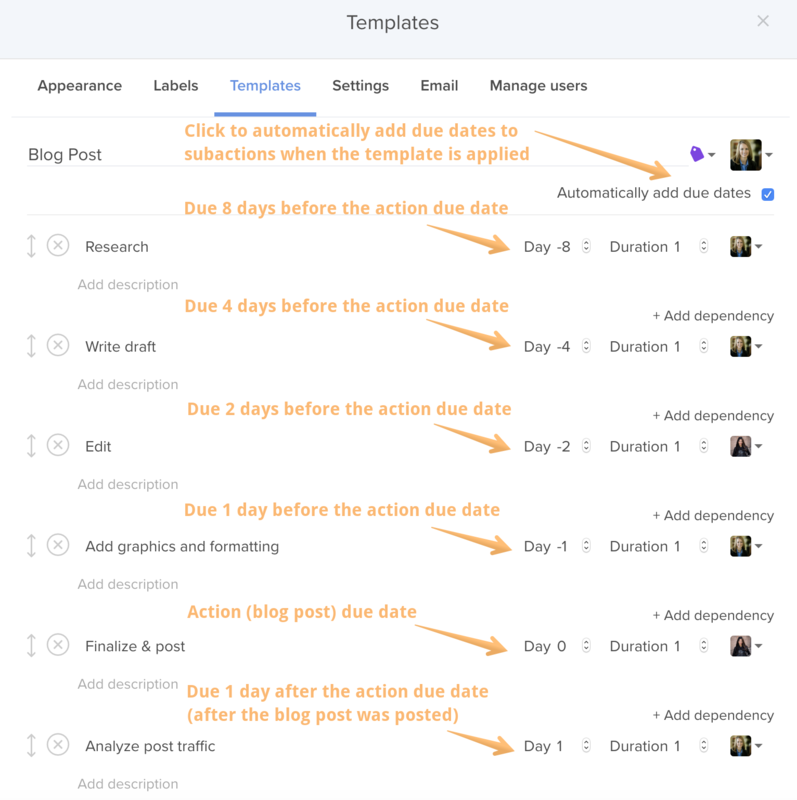 Lastly, if your subactions have start and due dates, add durations to your action template! Edit the duration to add the number of days you want that subaction to be scheduled for. 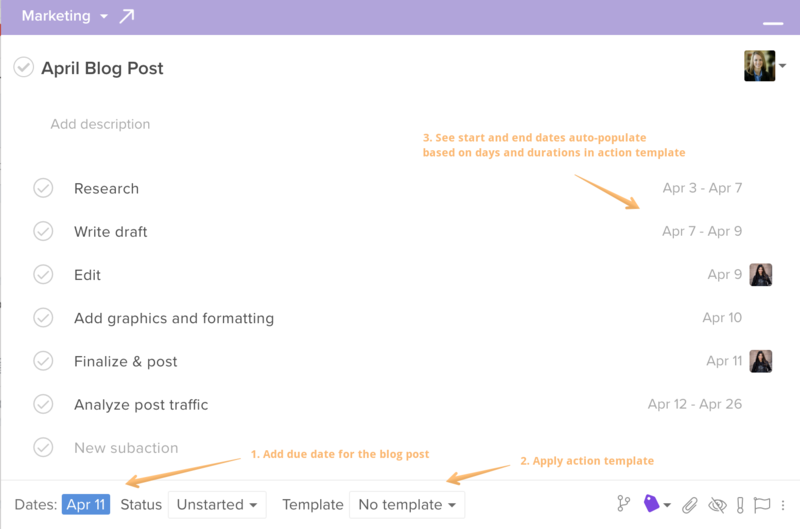 When you've selected to automatically add due dates, start dates and due dates will automatically be added to the subactions when the template is applied. When a duration is added, 'Day' becomes the start date and the due date is calculated based on the duration.